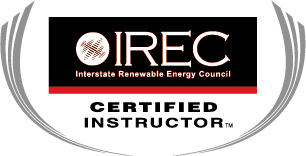 We offer a variety of training classes for homeowners, business owners, renewable energy professionals, educators, engineers and firefighters. Some qualify for NABCEP / Continuing Education Credit Units (CEUs). Contact us for more information, or to set up a custom training program for your company.